The Presidio is one of the historical jewels of our nation. Established by Spain in 1776, its control passed later to Mexico and in 1848 to the United States. For decades it was a U.S. Army military fort that played an important role in our military and geopolitical history during periods of war and peace. Today its legacy is maintained and protected by the Presidio Trust. 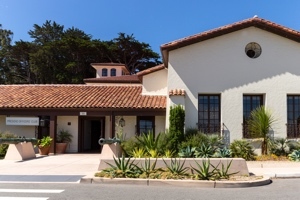 On this tour, you will hear about the Presidio’s adobe walls, its seafaring scientists, Buffalo Soldiers, Army nurses, Philippine-American War veterans, its secret Japanese language school, Vietnam-era dissenters, and much more. Included will be the museum’s current special exhibit, “Exclusion,” which recounts the Presidio's role in World War II’s Japanese American incarceration. Recently, on January 30, ABC7 News produced a segment about the Exclusion exhibit which can be viewed by clicking this link. Following the tour, you may wish to have lunch at the adjacent Arguello restaurant on a no-host basis. 10:15 a.m. – Approximately 11:45 a.m.